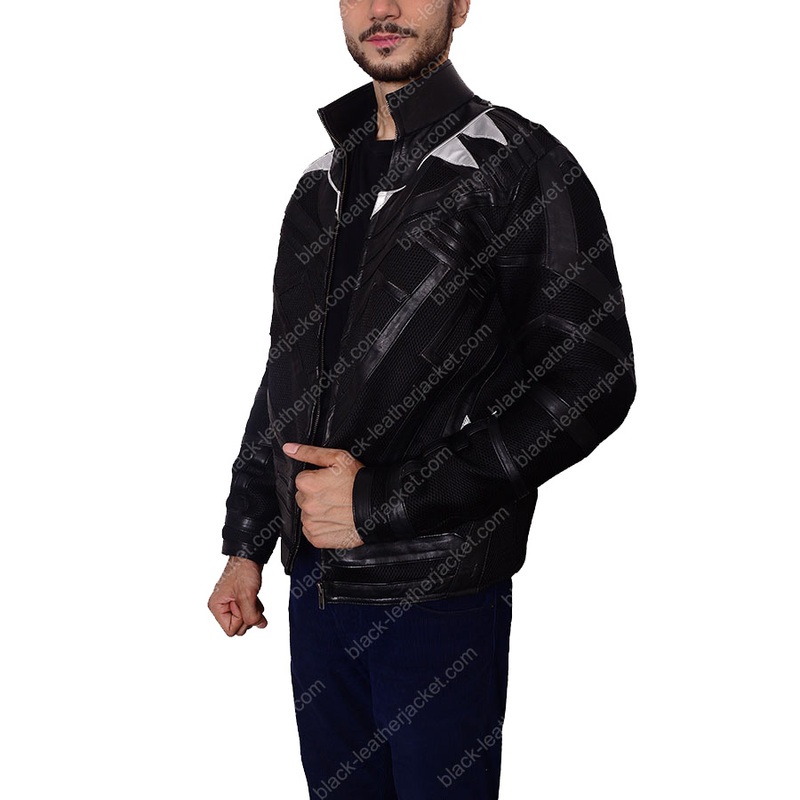 Embossed Pattern at Entire Attire. Full Sleeves With Knitted Cuffs. 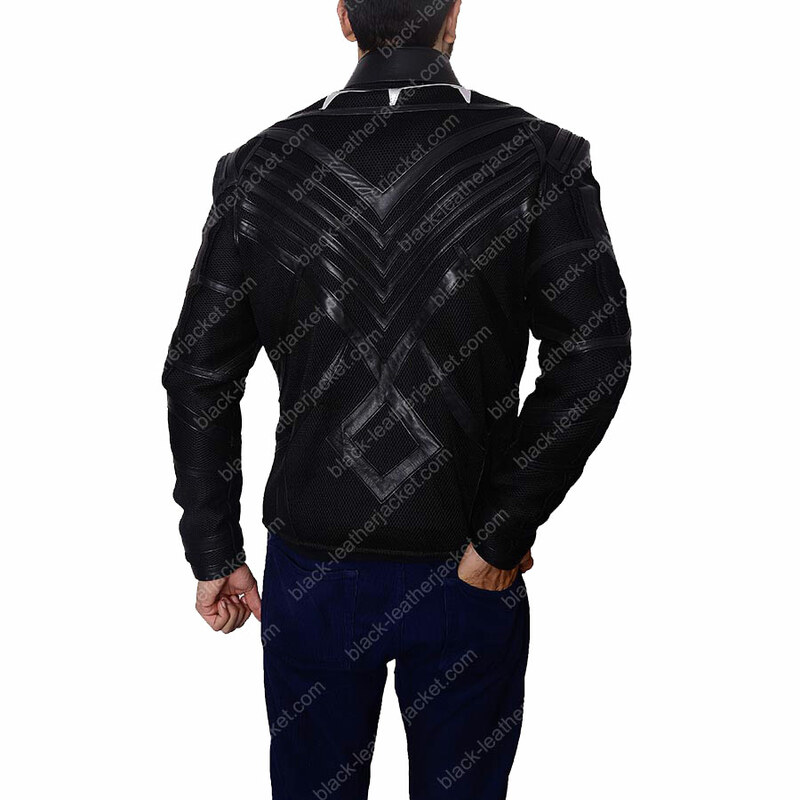 This Chadwick Boseman jacket is the wonderful attire inspired by the actor Chadwick Boseman who was characterized as Black Panther in the fantasy movie Captain America: Civil War. 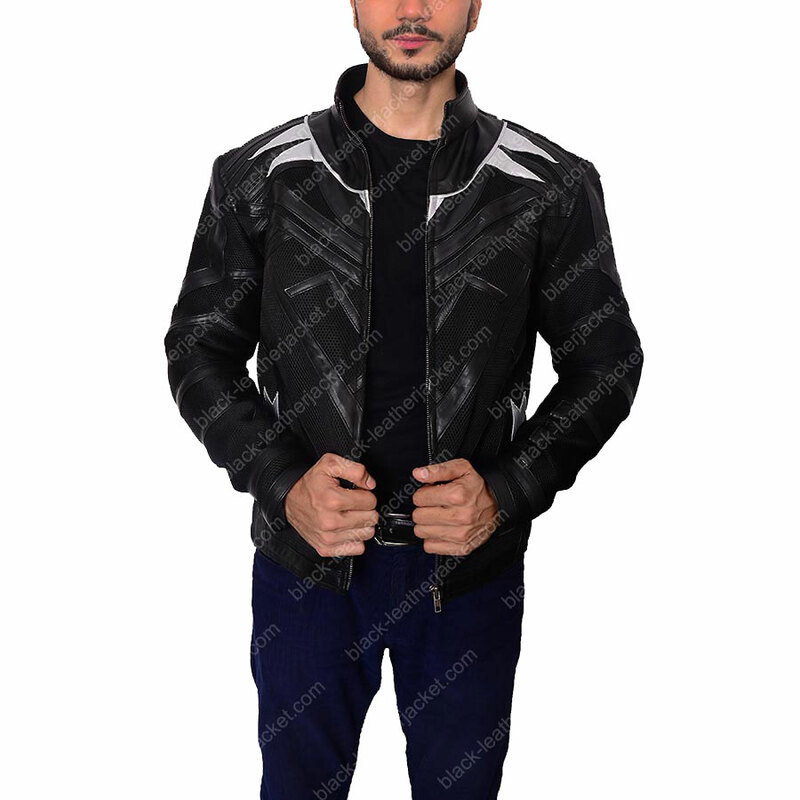 This jacket featured with the top quality material. 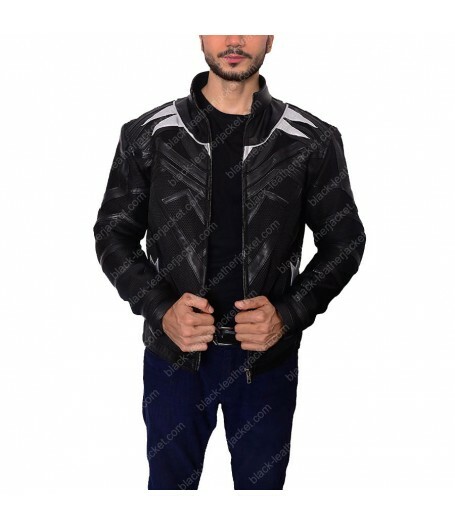 Our artisans have picked high quality of Genuine and Faux leather for your ease and comfort this jacket is created with inside viscose lining and long fitted leather sleeves with knitted cuffs. 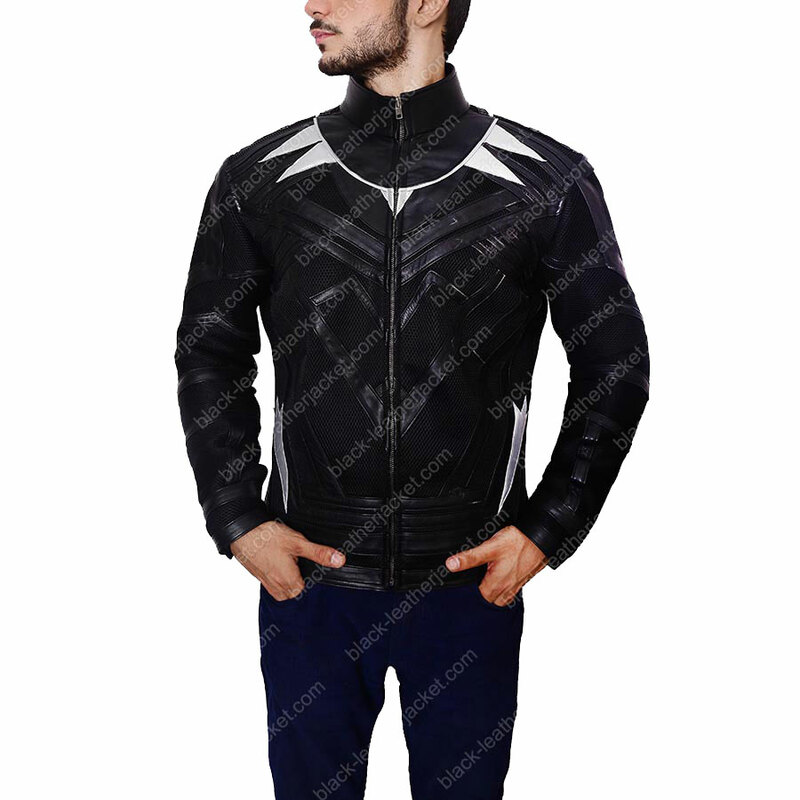 Black Panther Leather Jacket contains open hem cuffs along with front zipper closure will be easy to put on. 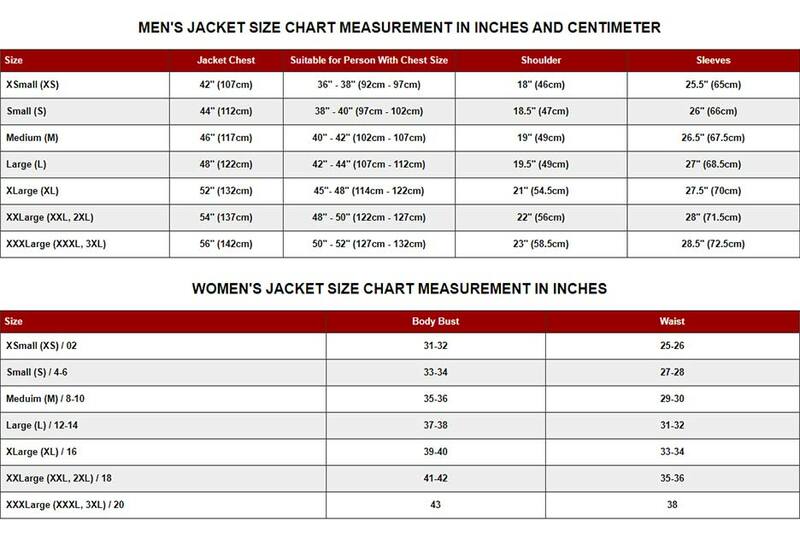 Hem line on boarders and embossed pattern at entire attire is the best part about this jacket. This alluring outfit is available in black color.